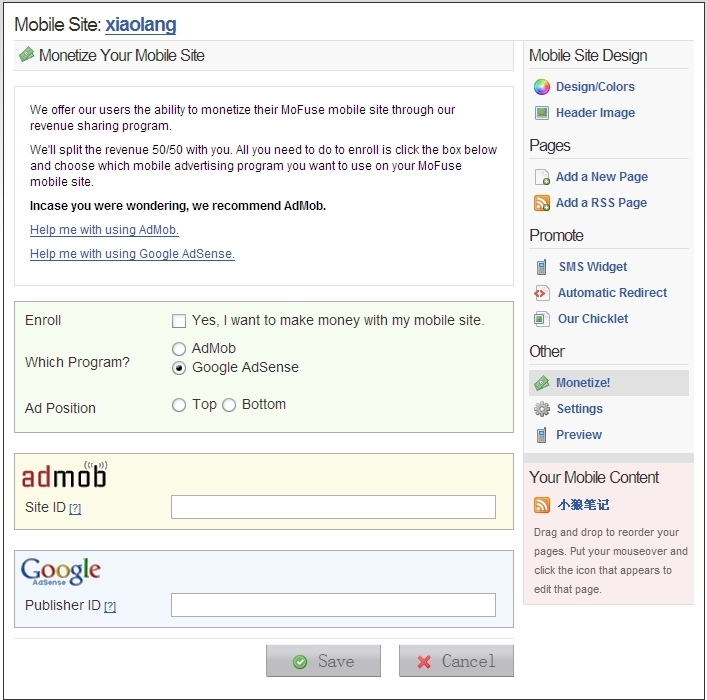 Mobilize your website or blog. Take control of your mobile content, quickly, easily, freely. Bloggers - Use your RSS feed to power your mobile blog. 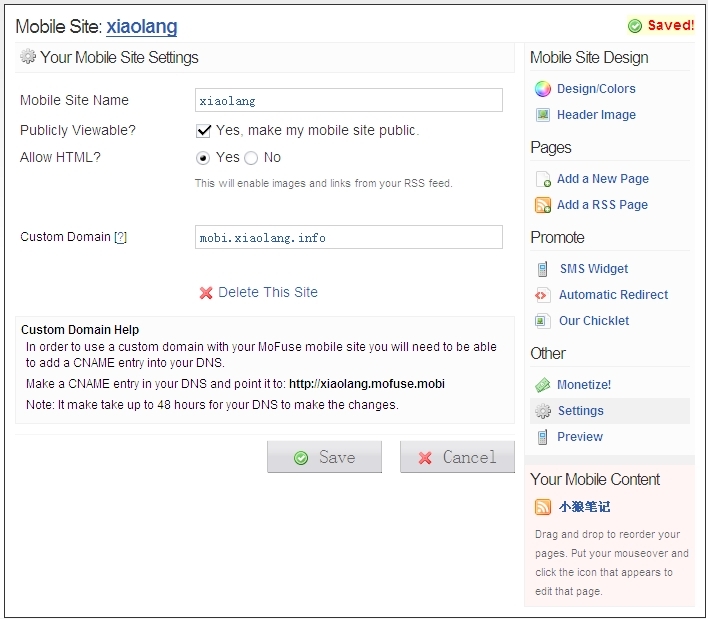 Design your mobile blog with our WYSIWYG editor. 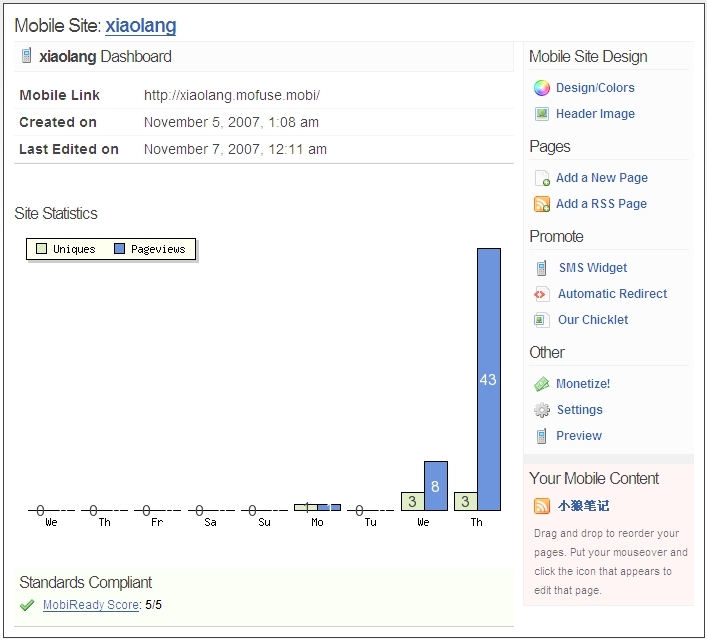 Automatically redirect your mobile visitors to your mobile blog. 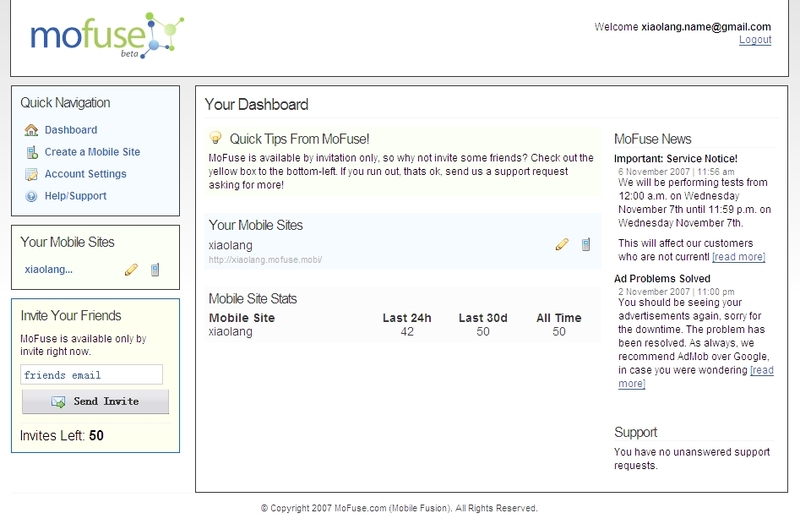 Everyone - Anyone can use MoFuse, not just bloggers. Signup and build your mobile site!